At risk notification: On Wednesday 17th April at some point during the day contractors will work to replace the temporary generator in the Data Centre on Tyndall Avenue. The Data Centre will be running 'at-risk' for 15 minutes whilst the cutover takes place. A significant number of services are hosted in that environment. While the generator is replaced the data centre will run off the mains electricity and we have UPS systems (Uninterruptable Power Supply) to provide short term coverage in case mains power is lost. We do not anticipate any problems and all efforts are being made to ensure services will remain working during the work. On 1 May 2019 we will launch a new visitor wireless service which will replace our current provider, The Cloud. The new service will appear as ‘UoB Guest’ on their personal devices. The service is provided by a third party and delivers improved value in terms of both cost and performance. 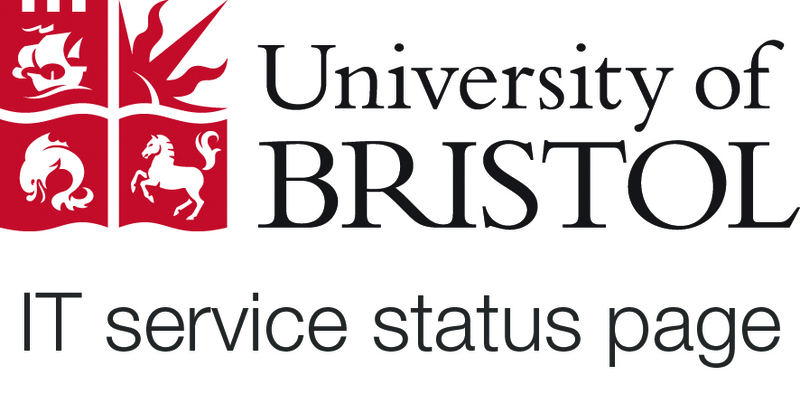 Further information on the visitor wireless service can be found at https://www.wireless.bris.ac.uk/visitors/ Please note that current staff and students should not be using this service as it does not provide all the functionality available via eduroam. Early in May 2019 the status of the UoB managed software version of ‘Java SE ‘8 will change from unrestricted to restricted. This is due to Oracle’s policy of ending free access to critical security patches. IT Services will license Java SE 8 on a use case basis and will continue to release secure versions of it in the normal way. This means current active users will retain a licensed copy but it will be removed from managed machines where it is either not used, or is an insecure legacy version. If you have a need to start using Java software then you will need to make a request via the IT Service Desk, service-desk@bristol.ac.uk.